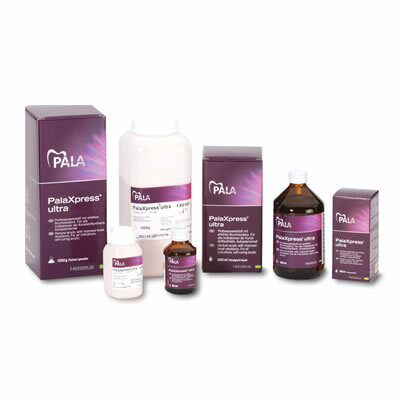 Heraeus Kulzer announced that it has added the high-impact heat-curing Paladon ultra and cold-curing PalaXpress ultra fracture-resistant acrylics to its Pala line of denture-related products. With Paladon ultra and PalaXpress ultra, technicians can easily and safely produce esthetically exceptional implant overdentures, combined restorations, and full or partial dentures. Paladon ultra allows implant overdentures and fixed removable dentures to be manufactured as simply and easily as partial or full dentures. Cold-curing acrylic PalaXpress ultra offers dental technicians a class of denture acrylics that is up to 50% more fracture-resistant than other cold-curing acrylics.